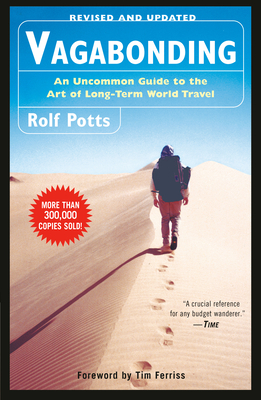 Rolf Potts is the author of Vagabonding and Marco Polo Didn’t Go There. He has reported from more than sixty countries for the likes of National Geographic Traveler, The New Yorker, Slate, Outside, The New York Times Magazine, Believer, The Guardian, Sports Illustrated, National Public Radio, and the Travel Channel. Though he rarely stays in one place for more than a few weeks or months, Potts feels somewhat at home in Bangkok, Cairo, Pusan, New York, New Orleans, and North Central Kansas, where he keeps a small farmhouse on thirty acres near his family. Each July he can be found in France, where he is the summer writer-in-residence and program director at the Paris American Academy.